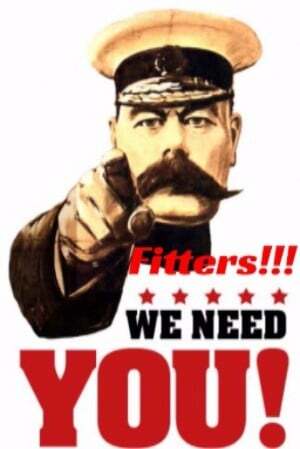 Need Fitters? Booking Form Here. Our Latest Jobs are Right Here! The Fitters Desk, part of the same organisation as Carpet Roles UK, (dedicated Recruiters to the UK Flooring Industry) are specialist suppliers of Carpet and Flooring Fitting Staff on Short Term Contracts. Effectively a Niche Temp Agency, We differentiate in the way we work in one key element, Our Fitters Set the Rates that they are happy to work for and we find them the work that they want, when they need it...and we pay them promptly. For our clients we offer access to probably the largest database of Fitting Staff in the UK, Competitive Rates (We charge a fixed % Fee) and a speedy, professional and discreet service and, if required up to 30 Days to pay us. Interested? 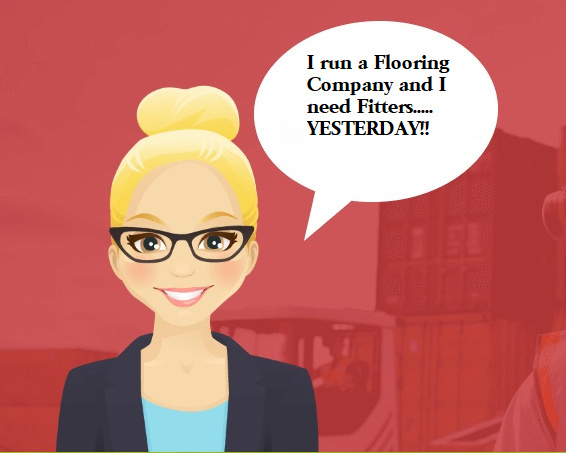 Follow the Links on this Page to take you to where you need as either a Fitter seeking work or a Flooring Company in need of extra Fitters. The Let's talk Link is a good start, alternatively call us or email us and we will be in touch. 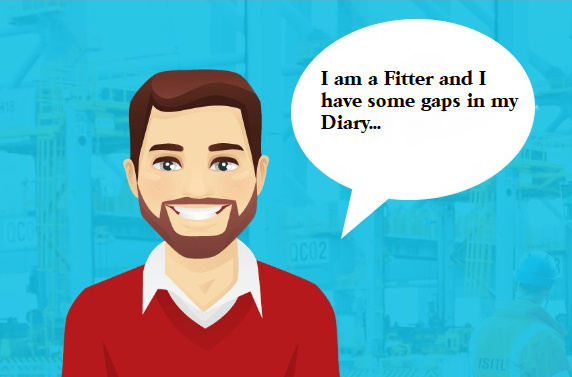 Alternatively you can Register for work via the link on the left of this page, clients can book Fitters via the "Need Fitters?" one. Looking for a Permanent Role? Try our colleagues at Carpet Roles UK who recruit for all Job Types in the Industry. We can supply you with an uplift in Fitting team Headcount to cover for Spikes in demand, Holidays or Sickness cover. We can supply you with specific Skill-Sets to enable you to take on work that you usually have to turn down or Sub-Contract out to a competitor - We are an Agency, not a Contractor so have no interest in supplying anything other than Labour. We carefully Vet and Reference all Fitters ahead of assignment and ensure that we only supply you with the very best and most suited teams for your particular requirements. We Charge a Set Admin Fee (as a %) giving you a clear and transparent pricing tool. You tell us what you want to pay the Fitters and we match them to you. Want to hear more? Follow the Enquiry / Booking Link on this page and one of the team will be in touch to discuss in due course. We Can Fill up your Empty Days or Weeks meaning you get more work and earn more! We can help you to find the work you enjoy doing, not just what is available. You set your preferred Pay Rate. You tell us your Availability. You tell us where you can get to. We do the rest! We find the work, confirm the booking at agreed rates and send you a full confirmation of where, when, who to report to etc and, once the work is completed to our clients satisfaction, we pay you 7 Days later against a signed Job Sheet (issued as your confirmation of booking pre-start). Want to hear more? Follow the Registration Link, complete the Sign up process and we will be in touch to discuss shortly. Latest Fitting Jobs are Here!